The Room Two Is Out Now | A Consequence of Hypoglycemia. Stop what you are doing and get this game. Actually, finish reading this, THEN go download that game. 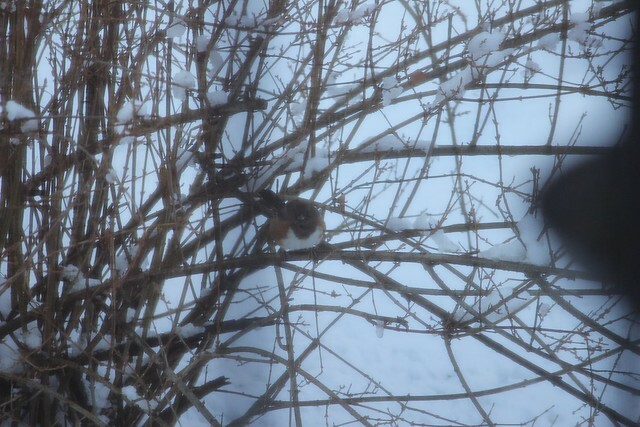 In other, non-diabetes news, I spotted an Eastern Towhee during my snow day. Cool, huh? Fellow Amateur Ornithologists can always check out http://unexpectedornithologist.tumblr.com/ for more avian observations.